It is difficult to estimate how much you may have to spend on contact lenses because so many variables can affect the price. Optometrists determine their own fees for contact lenses, as well as for contact lens exams and follow-up visits. Some optometrists combine these fees into one price, so make sure you ask exactly what you're getting for your money. Most professional optometrists do not combine everything into one price, but rather clearly spell out and itemize what you are paying for. This is because vision plans and insurance companies pay for some of these services and the industry has become standardized for billing purposes. 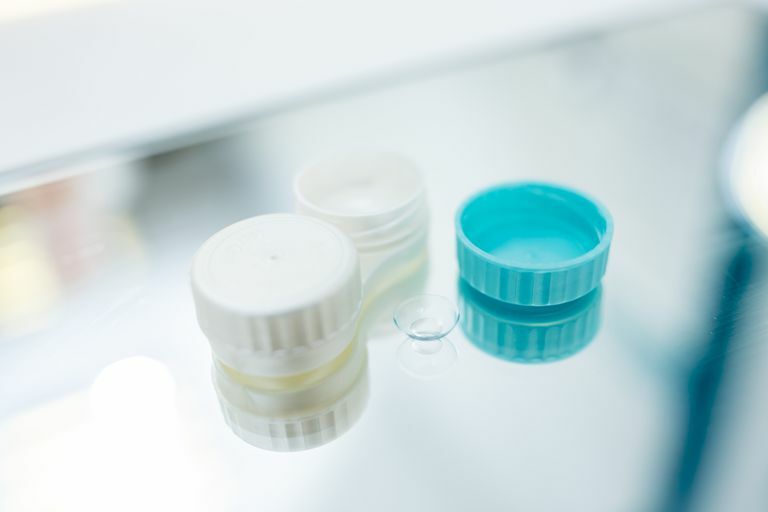 Many different types of contact lenses are available today. Your optometrist will be able to determine the type of lenses that would be most beneficial to you. Typical prices of contact lenses vary depending on the type of lens and the prescription required. For example, if your vision requires you to wear a contact lens to correct astigmatism, your lenses will be called toric lenses. Toric contact lenses are more expensive than the soft contacts used to correct nearsightedness and farsightedness. Toric lenses are to be replaced twice monthly. However, some doctors will tell you that these lenses can safely be replaced less frequently to lower the monthly cost. If you are over the age of 40 and require a bifocal contact lens, expect to pay more than regular soft contacts. Also, colored contact lenses, as well as special effect lenses, can cost up to 80 percent more then non-tinted lenses. To give you an idea of the price ranges, here are some average contact lens prices are taken from commercial opticals, online contact lens retailers, and private doctors' offices. If you are considering ordering contact lenses online, pay particular attention to the shipping charges and volume discounts. Typically, prices are extremely competitive in private optometrists offices and they often have manufacturer rebates that are not available online. Online retailers may have slightly lower prices but longer shipping periods (one to two weeks, on average). It may also be more difficult to order custom-designed lenses online. Federal law prohibits dispensing contact lenses without a valid prescription. Unfortunately, there are a few online contact lens retailers that sell contact lenses without a prescription. The Federal Trade Commission has recently shut down many of these illegal websites. Remember that contact lenses are a safe and convenient correction option, but they are also medical devices that must be cared for properly in order to maintain healthy vision. Certain hygiene measures should be taken to avoid possible eye infections or serious eye problems. Washing your hands before handling your contacts is extremely important for safe contact lens wear. A serious risk associated with contact lens wear is a corneal infection. These infections are often due to due to dangerous organisms that come into contact with the eyes. It is recommended that wash your hands thoroughly with an antimicrobial soap before handling contact lenses. Never swap lenses with anyone; sharing contact lenses can cause infections and other serious eye problems. Also, never wear your contact lenses for longer than is recommended by your eye doctor. Sleeping in contacts is a bad idea because a contact lens impairs oxygen flow to the cornea. The cornea has no blood flow, so it relies on oxygen in the air to stay healthy. A contact lens covering the eye impedes oxygen flow and alters the physiology of your eye. American Optometric Association, "Cost of Contact Lenses." AOA, 2017.